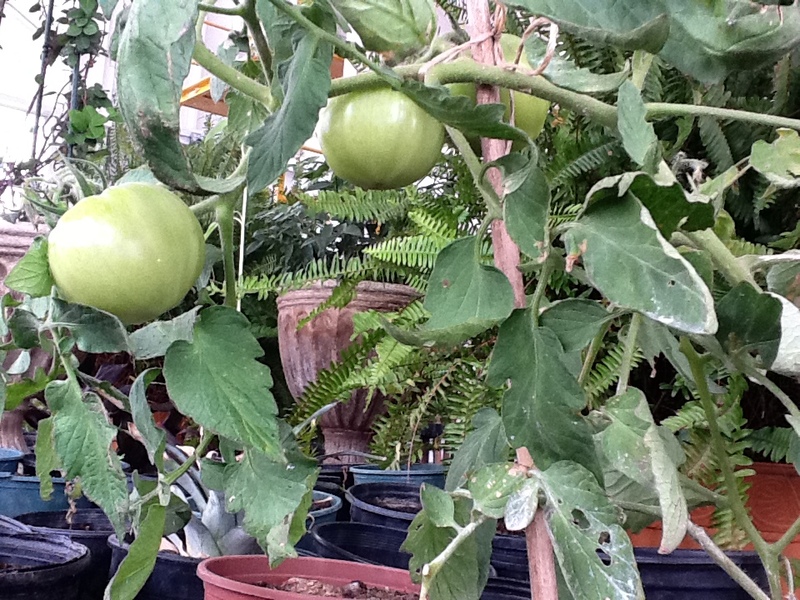 November 9th…and, our straw bale tomatoes are coming on! At the sign of the first freeze…and to validate the effectiveness of straw bales as a method of gardening…we transplanted our veggies to containers in a greenhouse. Remember, these plants got planted in June…made it through a drought…had various people tending to them. Clearly, this method of gardening is one any of us can use to effectively grow some of our own food!